Now nearly 40 years on, the Ferrari 308 still features high on many collectors lists and while it may not have been the most powerful Ferrari, it still had that much coveted V8 exhaust tune. But can you have a Ferrari without such a sound and more importantly would you want one? An Irish company Electrifi have done the imaginable and swapped a V8 engine for battery electric power and created probably the world's quietest Ferrari 308. Traditionalists might baulk at the very idea but for fans of cleaner cars with very deep pockets, this just might be their dream one. Classic cars may boast timeless design but in these post- dieselgate times their high-polluting engines risk consigning them to the annals of history. Converting petrol-guzzling classics can also play a part in reducing carbon emissions. 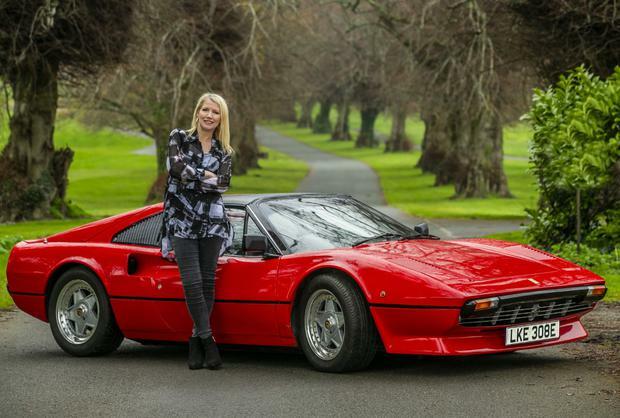 One approach to conversion is keeping classic cars as original as possible and is the philosophy behind the Electric 308 I drove in Powerscourt this week. This 308 may look like a Ferrari but beneath the sleek, red bonnet throbs an engine that is not measured in cubic centimetres. The only external clue to the car’s true power source is the E on the registration plate. And despite maintaining the integrity of the car through the entire process including retaining the unassisted steering, the car is now faster than it was and actually goes from 0 – 100 in half the time it did in its heyday. Powered by Tesla batteries and motors it is shockingly fast and comes with a 600 kms range. Slip behind the wheel and it is vintage Ferrari but put your foot to the pedal and it's eerily quiet. The idea is the brain child of Cork-born serial entrepreneur Norman Crowley, who with his company Electrifi is set to turn petrol-guzzling classics into eco-friendly machines and in doing so hopes to revive the car manufacturing industry in Ireland. The Ferrari 308 is just the first of many classics that Electrifi plan to modify. But Crowley's vision of the future doesn't simply rely on repackaging the past. Electrifi is currently designing a new range of classic cars that will be fully Electrified and revealed in early 2020. The economics of converting vintage cars means, for now, they will have a niche appeal with prices starting from €750,000 for the higher end models but cars in time Crowley believes will be available priced from €30,000. The company has already sold out its delivery capacity for its high model range for the next 18 months. Crowley plans to invest €50 million over the next 3 years and manufacturing has already begun in the Electrifi plant in Wales and the first cars will leave the Irish Plant by the end of the year. As I quietly passed two onlookers and my quick spin was coming to an end one said to the other “is that a Ferrari” to which the other one replied, “Yeah, but it’s not a real one”. I smiled and responded, “it is, but even better!”.